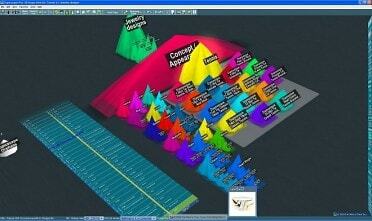 Organize your information and ideas in a 3D landscape! 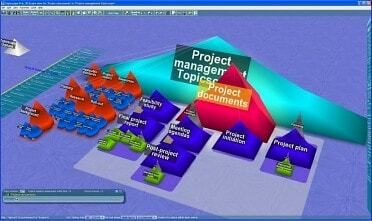 projects and do efficient web research, visually in 3D or 2D, with Topicscape. 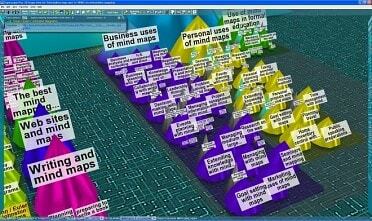 Use the same controls as Google Earth to explore the space of your information maps with mouse and keyboard. Any topic can link to any other, so you are not limited to a rigid hierarchy. Multiple parents are allowed. 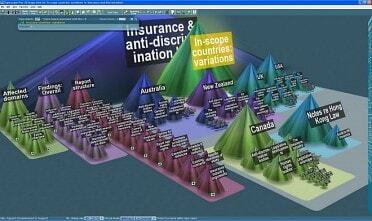 Instantly zoom in on any topic (the cones and pyramids). 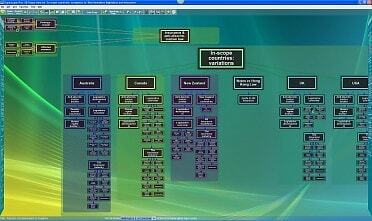 Or select a different topic to be the central one, and see the landscape re-organize itself instantly. The powerful search can show results in a flat panel that swings out of the way when you don't need it, or in a 3D list stretching away toward the horizon that you can fly along. Alternatively, filter by tags. 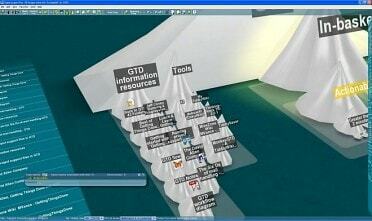 Store any kind of file in your Topicscapes. Files are linked to topics and you click a marker on a topic to enter the cone and examine or open files you've previously placed there. Add comments, tags and other information to file entries. Reorganize in ways that Windows cannot match — for example one topic can appear under many topics without making duplicates. 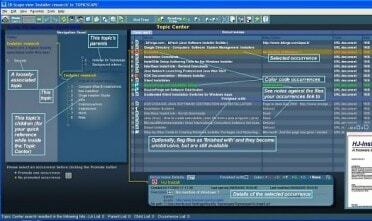 Add individual files, folders, web pages, stand-alone comments as and when you need to. Search by just typing (no Ctrl+F), fly, zoom in, explore. Soon, recognize the landscape and go to what you&apos;re looking for immediately. ... with XSLT tailoring posibilities for the technically-minded. Get a FREE permanent license. Copyright © 2017 - 2019 by Topicscape. All rights reserved.